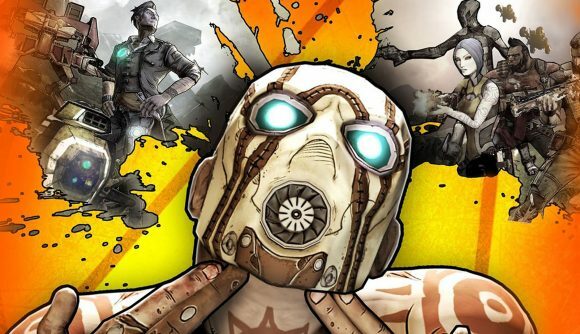 November 30, 2018 Gearbox boss Randy Pitchford is either teasing Borderlands 3 or being unnecessarily cruel on Twitter. Yes, Borderlands 3 is happening. Randy Pitchford, CEO of series developer Gearbox, hasn’t exactly been subtle about teasing it over the past year, and although there’s still no official announcement for the sequel it remains all but inevitable. Pitchford is ruffling feathers again on Twitter today with a series of messages involving the number 3. In a third tweet, he says it “feels like E3 all over again.” As I see it, there are two possibilities here. The first, and most exciting, is that Pitchford wants to stir up some interest this weekend before presenting Borderlands 3 among next week’s announcements at The Game Awards. It’s beautiful, everyone loves it, and we all have a nice cry about how wonderful it looks. All this traces back to a panel at PAX West in 2017. Pitchford addressed the Borderlands fans in the audience and said that 90% of the Gearbox team are “working on the thing I think most of you guys want us to be working on.” DualShockers also quoted him as saying “a product does not exist until it’s announced,” but the implications are obvious. A Borderlands 3 release date is probably too much to hope for when we don’t even have an official announcement yet, but here’s hoping we can finally put these rumours to rest soon.